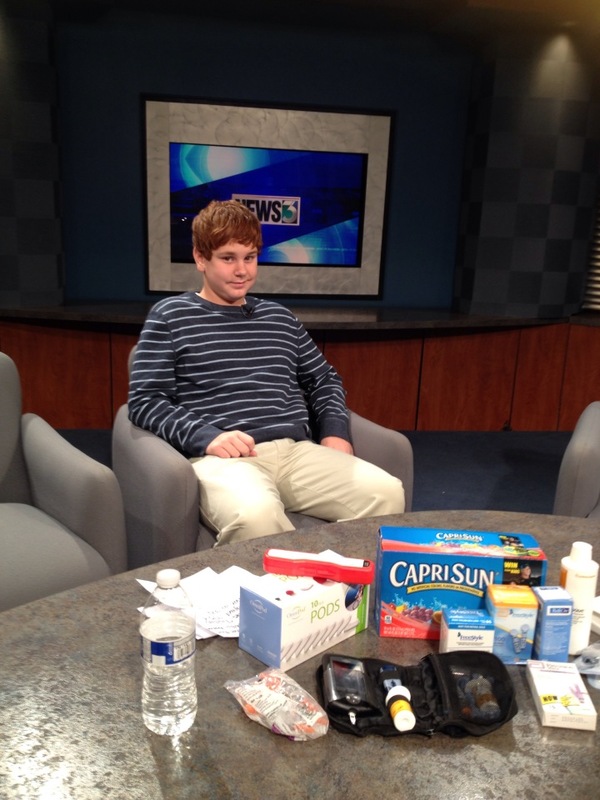 As the American Diabetes Association’s SE Wisconsin Youth Ambassador, Joey knows it’s important for him to represent the youth with type 1 diabetes. 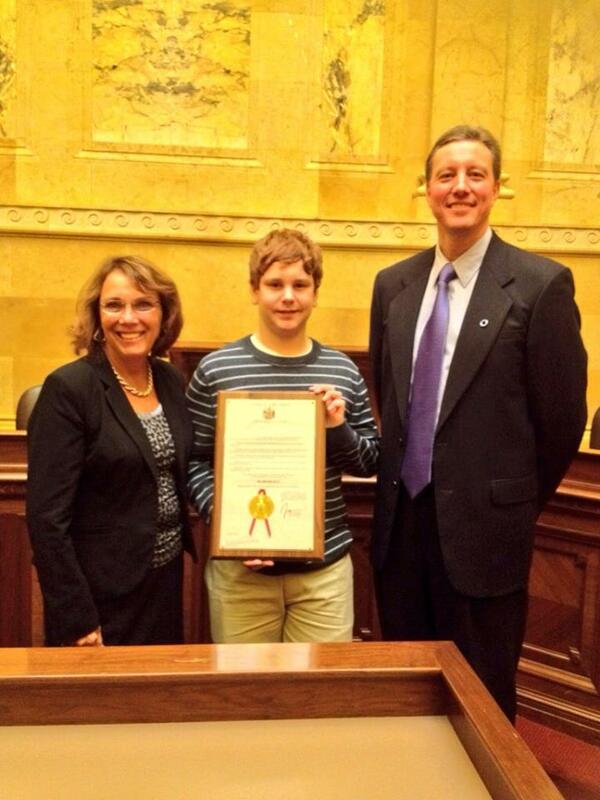 So, Joey and I will travel to Madison WI for World Diabetes Day on November 14th. 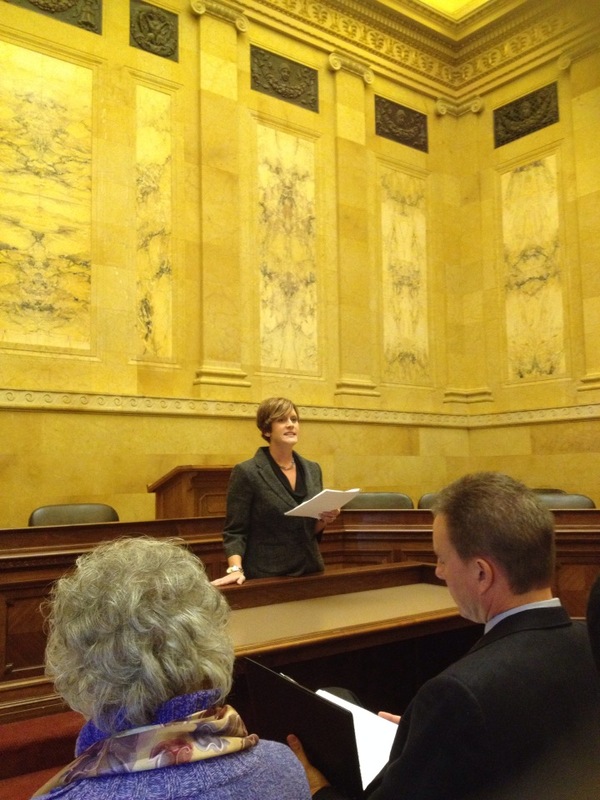 We’ll start our day with Representative Pat Strachota and other Wisconsin diabetes advocates. It’s important to keep diabetes on the minds of our lawmakers, as we need to ask them to continue funding research and bills that relate to life with diabetes. This is important so we can someday have a world without diabetes. Currently there are 26 Million Americans with type 2 diabetes, that’s more than 8% of our population. Of that number, over 7.000 are not yet diagnosed. If current trends continue, by the year 2050, the number of Americans living with diabetes will be 1 of 3 adults will have the chronic disease. The time is now to learn more, become a diabetes advocate! The event is from 8:00 – 9:00 am in the North Hearing room of the State Capitol. November is National Diabetes Awareness Month, November 14th is designated as World Diabetes Day. World Diabetes Day was introduced by the International Diabetes Federation (IDF) and the World Health Organization back in 1991 in response to the alarming rise of diabetes around the world. Since 2007 Novo Nordisk has partnered with the IDF to unite people with diabetes, to call for a “change diabetes” on World Diabetes Day. November 14th was selected because it is the birthday of Frederick Banting who, along with Charles Best, first thought of the idea which led to the discovery of insulin in 1922. What better day to celebrate! Each year Diabetes Awareness Month is centered around a theme, different each year. Some of the themes have been: diabetes and obesity, diabetes and human rights, diabetes and adolescents. From 2009-2013 the theme has been diabetes education and prevention, which when we talk of prevention, we are talking about type 2. I mentioned Novo Nordisk, they are a global company with over 90 years of leadership in diabetes care. They make the insulin that Joey uses, called Novalog. When Joey was diagnosed we started using Humalog insulin, but we changed to Novolog because we appreciate the support that they give to the diabetes community. Anytime we went to an event this past year, they were there, most likely sponsoring the event. For instance the Moses E. Cheeks Slam Dunk Basketball Camp that Joey attended in July was possible because of Novo Nordisks’ sponsorship. Without it, the basketball camp would not have been possible. We appreciate them so much. A Look at Our Day! 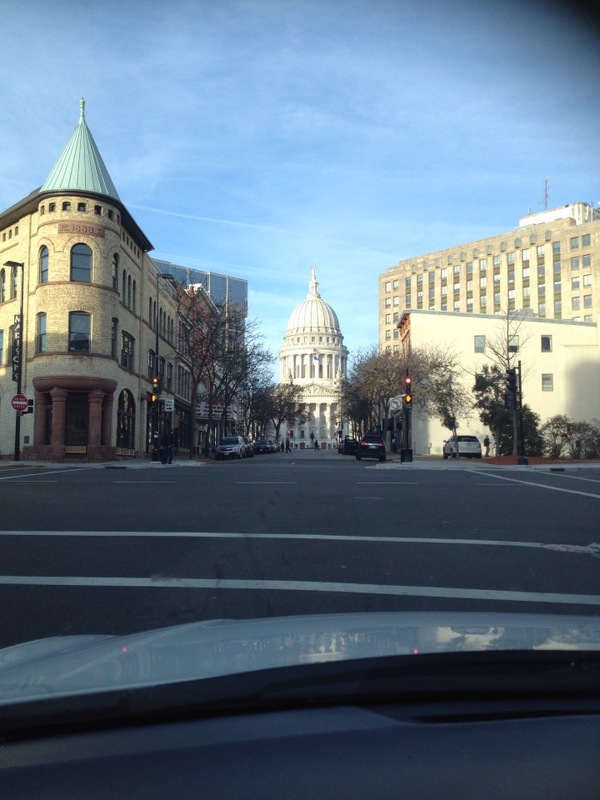 We were invited to be guests on WISC – TV’s Morning Show, at 6:00 AM. Because we aren’t morning folk, we spent the night before at my brother and sister in-law’s house in Middleton. Neither Joey or I slept very well, we were nervous about being on a TV show, thinking we had a 15 minute segment. We had our topics we wanted to cover, Joey especially wanted to talk about how modern technology has eased the burden of type 1, even though he still has to prick his finger numerous times a day, at least he doesn’t have to figure out his insulin calculations or give himself a shot, his pump does everything for him. All Joey had the chance to say was how hard it is to have type one. Then she turned to me and the 2 minute interview was over. Oh well, next time. and there are a lot of them, every 3 months. We are thankful for our insurance, however our co-pays keep getting more and more expensive. We need the two of us working to keep up with raising medical costs. And we don’t have an option. No insulin, no Joey. 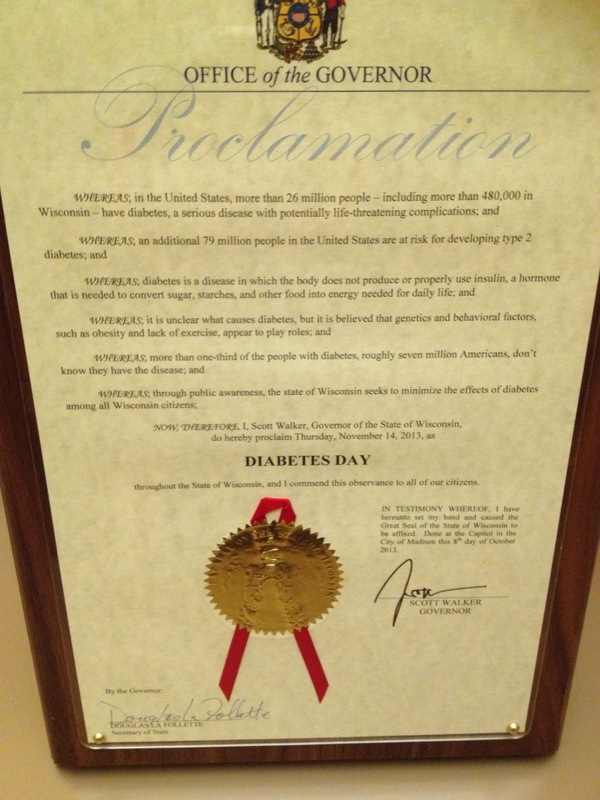 Novo Nordisk was instrumental in the Governor signing the Proclamation to make November 14th Officially Diabetes Day in Wisconsin. It’s important because it means that our government realizes the significant impact that diabetes has on families in WI and are committed to addressing those challenges. Thank you Novo Nordisk for all that you do. Joey spoke after Representative Strachota. He talked about his life with type 1, that he loves to play football and basketball, and that he is a good student. He told everyone that he has to be diligent with checking his blood sugar when he plays sports, and that his Omnipod Wireless, tubeless Insulin Pump System helps him a lot. He mentioned a lot of the fun activities that he has been able to experience since he was named the 2013 Youth Ambassador for the ADA. He also mentioned being inspired by people that he has had the opportunity to meet like Jake Bryne, who has type 1, was a WI Badger, who now plays for the Houston Texans, Kendall Simmons, who has type 1 diabetes, yet played in 2 Super Bowl games, and has the Championship rings to prove it, Dominique Wilkins, one of the best basketball legends of all times, who has type 2 diabetes and finally singer Bret Michaels, they have all taught Joey that no matter what his dreams are, if he stays focused, he can reach those dreams. His speech was awesome. Here it is on YouTube, the room was big and there is an echo, so it’s hard to understand him. We are so proud of Joey. 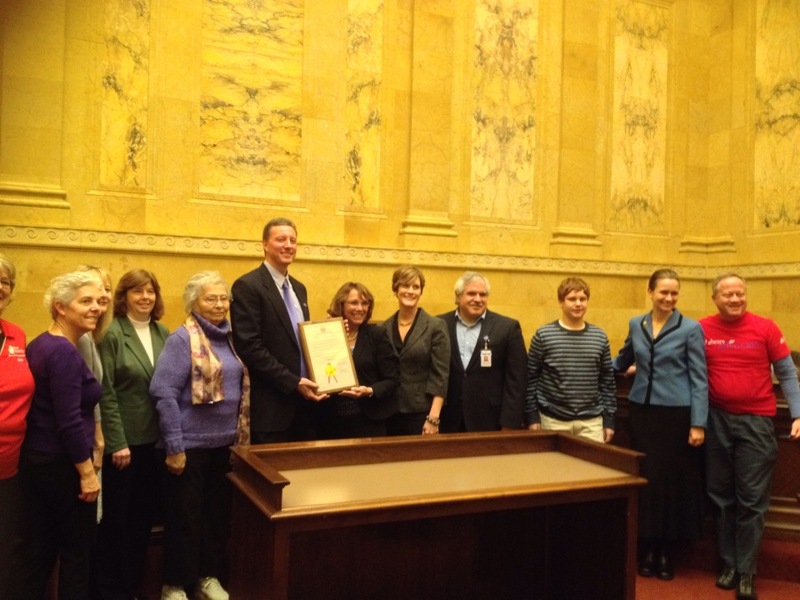 Attending the WDD celebration at the State Capitol was very inspiring for us. 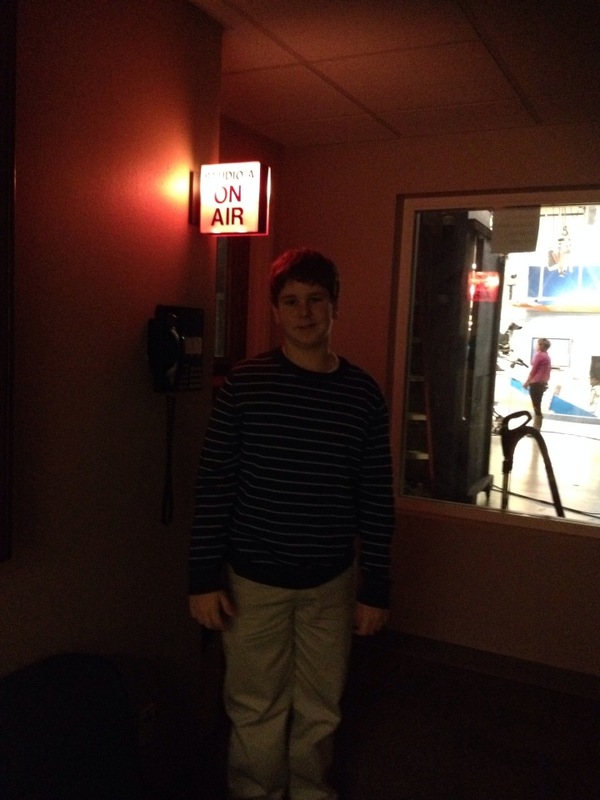 Joey was on TV and on the radio all before 8:30 am. He is an inspiration to our family. What we are learning is that awareness is key to making a difference. Making a difference is key to change. Joey is inspired by those around him that have diabetes, yet go after and achieve their dreams. Joey wants to inspire kids, as he said in the radio interview, he wants kids to know that they shouldn’t be embarrassed because they have type 1 diabetes, they didn’t ask for it, they couldn’t have prevented it. Awareness and Education, that’s what it’s all about. Next Post Sometime it’s to much.